Happy Feast day of St. Mark everyone! Mark is the second of the 4 Gospel writers. 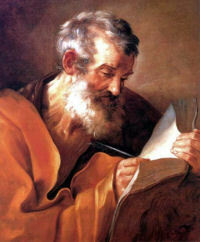 He was baptized and taught by St. Peter the Apostle. He wrote his Gospel around the year 50AD. In it he focuses mainly on Peter and the Jewish customs surrounding the time. Thus, it is interpreted as being written for those Roman Jew converts to the Christian faith. He preached in Alexandria, Egypt and was martyred there by the heathens. According to the 1962 Missal of Bl. John XXIII, the Extraordinary form of the Roman Rite today is a day of Major Rogation. 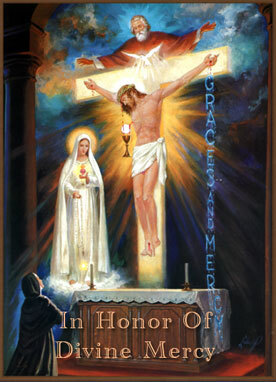 That is a day of fasting, penance, and day to pray litanies. Now this is no longer required after Vatican II, but it can still be observed and is a worthy practice to pick up every once in a while. According to Catholicculture.org: “Rogation Days are the four days set apart to bless the fields, and invoke God’s mercy on all of creation. The 4 days are April 25, which is called the Major Rogation (and is only coincidentally the same day as the Feast of St. Mark); and the three days preceding Ascension Thursday, which are called the Minor Rogations. Traditionally, on these days, the congregation marches the boundaries of the parish, blessing every tree and stone, while chanting or reciting a Litany of Mercy, usually a Litany of the Saints”. He is the patron of: Against impenitence; attorneys; barristers; captives; Egypt; glaziers; imprisoned people; insect bites; lions; notaries; prisoners; scrofulous diseases; stained glass workers; struma; Diocese of Venice, Florida; Venice, Italy. Today at Bishop Bruté College Seminary, the feast falls on a Thursday, which means that we will be having Mass on campus at Marian University. The Schola Cantorum will be leading the congregation in song, so please pray that all goes well. We have quite a few nice pieces to sing. Hopefully I can record them and upload them soon. Please keep us in prayer as we have our last week of classes next week! May God reward you!